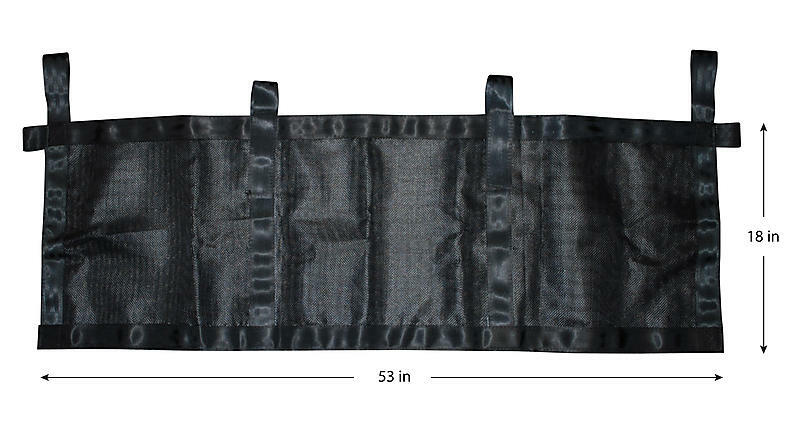 Heavy Duty Cargo Bag — 18" x 53"
This cargo bag is made with heavy duty material and is perfect for hanging on the pickup truck load bar. The end loops slide over the bar and the two middle loops are velcro for quick and easy adjustments. Great for keeping things from moving around in the bed of your truck.